The Arcacia is an adaption of the award winning “Willona” Home. This home is so versatile and can easily change to the needs of a family as it grows. There is so much street appeal from the front of this home as the portico area steps in, encouraging you to come inside and take a look. With 4 bedrooms and a hobby room there is plenty of room to cater for a large family. Storage space is not a problem. Cupboards and built on robes are throughout the home. Looking at the alfresco area it is easy to imagine entertaining friends and family in this open expanse. Having the double garage with a remote control panel lift door is a wonderful plus. Protected from the elements this makes it so easy to unload the groceries and kids and is also great security for the vehicles as well. 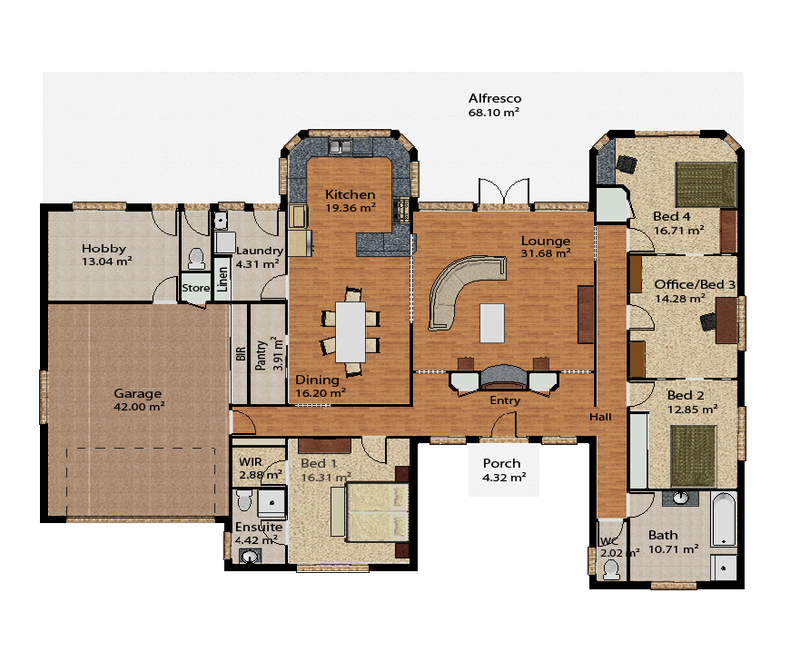 The Arcacia is a home that will suit for a lifetime.